You are here: Home / All Freebies / Your Students Are Going to LOVE These Lunch Box Love Notes! 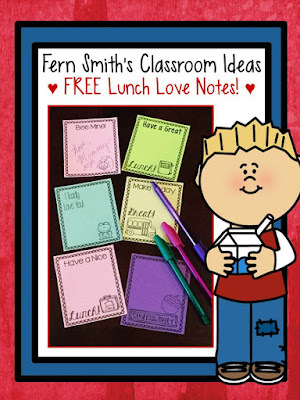 FREE Lunch Box Love Notes Perfect for Valentine’s Day! While you’re planning and getting ready for Valentines, here’s one of my favorite freebies for you. Lunch Box Love Notes. For Teacher-Moms, as tired as we are once Spring Fever hits our classrooms, we don’t want to short change our own children. Visit my blog for this freebie, you can even use it for your classroom as reward notes to go home with your students! Your Children Are Going to LOVE These Lunch Box Love Notes! You’re Going to LOVE These Lunch Box Love Notes For Valentine’s Day! You’re Going to LOVE These Lunch Box Love Notes!